The energetic and always-optimistic main heroine of Hanasaku Iroha finally had her Nendoroid rendetion fully-colored, after previously seen as uncolored prototype back then on last Summer WonFes. Yep, Nendoroid Matsumae Ohana is spotted to be displayed in Matsuri Festival at Japan. As the info board says, she is scheduled for 2012 release. 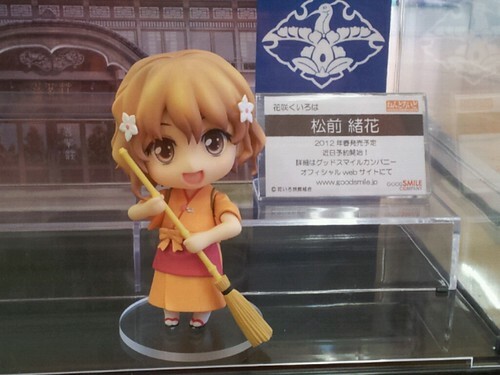 This entry was posted in News and tagged hanasaku iroha, matsumae ohana, nendoroid.